The muse-artist trope is one that has been explored over and over again in art, film, music, and literature. Although the dynamic is at times problematic, even dangerous (think: Hitchcock and Tippi Hedren, Quentin Tarantino and Uma Thurman) it is also a relationship that, when respectful, safe, and two-way, can produce some of the most critically acclaimed art of all time. In a new show at the Czech Center New York, this idea of the muse is being re-examined by emphasising the relationship between curator and artist, wherein both can act as equally inspirational to the other. Featuring a group of international curators and artists, the press release for Muse Muse, which opened last week, reads, “This is the essential relationship upon which this show revolves.” And adds that the curator-artist synergy is a relationship that is intimate and transformative, and that takes an emotive material and pushes it towards us, the viewer. The work of the curators and artists in tandem stresses the freedom and democratic vision that the inclusion of a multiplicity of voices can have, all through the lens of a muse-muse relationship. Included in the ten artist-curator pairings, Muse Muse features portraits by Dazed 100 photographer Grace Ahlbom – who is known for exploring her own journey with gender identity through her work – curated by Antonia Marsh. 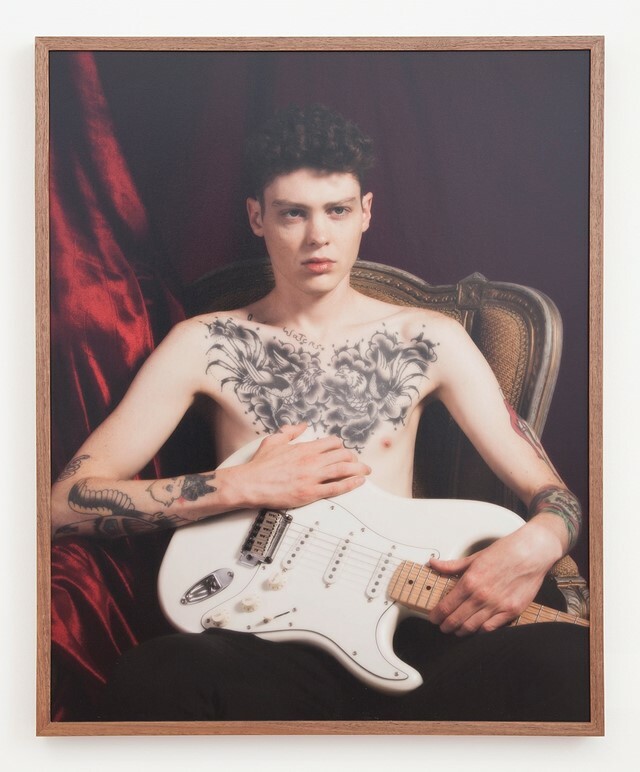 “Shane” (2016) shows a young man, who despite the tattoos on his torso and the electric guitar he holds that might normally signify a hardened masculinity, shows a vulnerability that Ahlbom captures perfectly. Richie Shazam curates images by Martine Gutierrez and Theresa Chromati. In her work, Gutierrez explores notions of her gender and identity as a trans woman. In “RedWoman91”, Gutierrez plays with notions of privacy and voyeurism in the digital age presenting a consciously composed identity. Whereas Chromati’s work explores the diverse identities of black women. 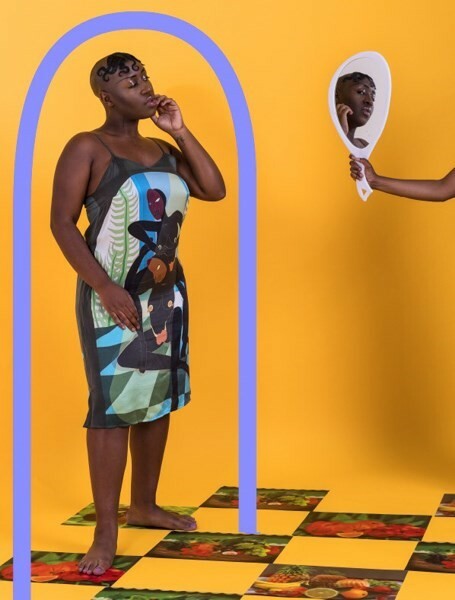 By using painting and photography, she explores the nuances of body ownership, manipulation, and acts of self-preservation in images such as “Me pointing at me, Pointing at you looking at me” (2018). Photos from Pixy Liao’s series Experimental Relationship, curated by Marie Tomanova, explore the artist’s identity both before and during her relationship. The images look at how the role that Liao expected to have in her romantic relationships has been up-ended through her becoming romantically involved with a man five years her junior. Photographs such as “We are connected” (2015) aim to show this, alongside an alternative side of heterosexual relationships. The works also examine her identity as a Chinese woman now living in America.